I was born in St Louis, Missouri, grew up in Los Angeles and attended both Yale and Oxford Universities, where I specialised in Medieval Studies. I then threw away a lucrative career as a medievalist and worked as a freelance journalist, writing for the Sunday Times, Guardian, Mail on Sunday, Telegraph, and Vogue. I have published over 50 books, including the immensely popular Horrid Henry series, which has now sold over 15 million copies! Horrid Henry is published in 17 countries and is now a successful CITV animation series. I live in London with my husband, son, and Tibetan Spaniel called Shanti. 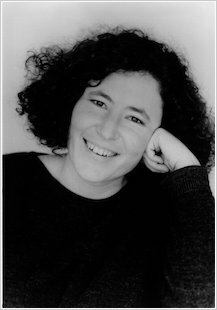 New interview with Francesca Simon!